SpaceX just did a double-header. Two of the firm’s Falcon 9 rockets were launched within 49 hours of each other, one from NASA’s Kennedy Space Center in Florida and one from the Vandenberg Air Force Base in California. That’s a first for SpaceX and provides a proof-of-concept for efficiently reusing rockets in the future. The launches, on 23 and 25 June, marked the second and third time that Elon Musk’s spaceflight company reused rocket boosters that had already been to space, landed and been refurbished. After successfully releasing their payloads into orbit, each booster returned to Earth and safely landed on a drone ship. Now they will be examined for damage and possibly refurbished and launched a third time – a feat which SpaceX hasn’t yet attempted. The 23 June launch, pictured, lifted Bulgaria’s first communications satellite – its second satellite ever – into orbit. The 25 June launch carried 10 communications satellites for the Iridium company, marking the second of seven planned batches that will make up a global satellite constellation called Iridium NEXT. After the launches, Musk tweeted that his aim is to re-launch a booster within 24 hours of its landing back on Earth, with no intermediate servicing necessary. 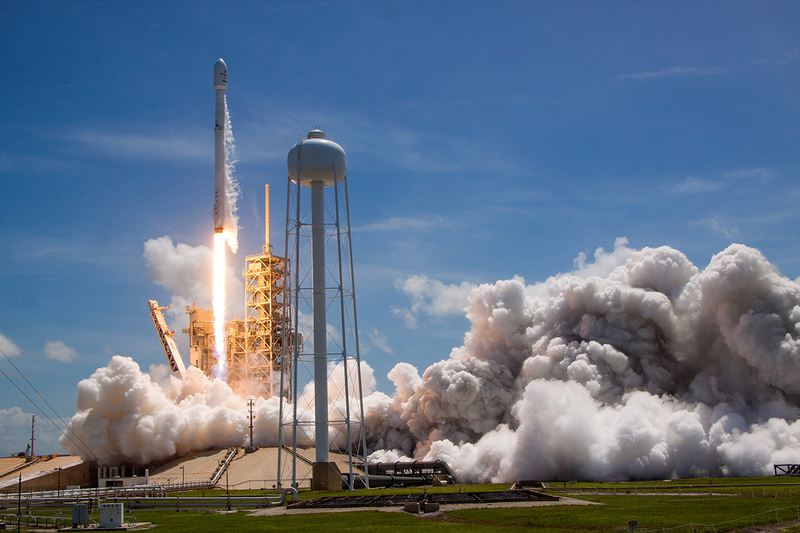 Launching a satellite aboard a SpaceX rocket is already $300 million cheaper than other launch vehicle providers, and consistent, quick reuse could drive down prices even further.